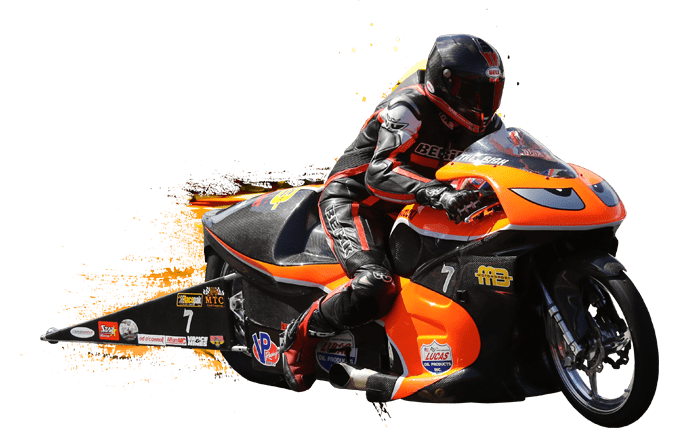 With Pro Stock bikes, finely tuned engines dominate. Any performance increase from nitro, turbo injection or nitrous oxide is prohibited. The tuners of the top teams still unbelievably get up to 600 hp out of the units. The drivers thus achieve times in the low 7-second range, with top speeds of over 305 km/h.